FORT WORTH, TX—Saying they get their hopes up anytime they notice her looking particularly downhearted, siblings Paulo and Marisa Hernandez told reporters Wednesday they love it when their mother is sad enough to just order pizza. 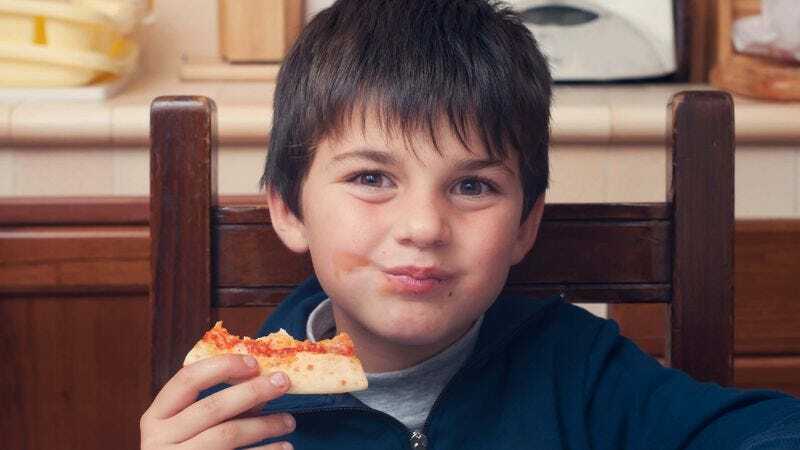 “I get excited whenever Mom is really quiet and her eyes get all red and puffy, because that usually means we’ll be getting pizza with whatever toppings we want,” said Paulo, 8, whose sister confirmed they can barely wait for the evenings when their pajama-clad mother simply calls in the order and hands them money to pay the delivery person before going up to bed for the rest of the night. “Sometimes, if she cries in front of us, not only do we get pizza, but we also get to stay up really late watching TV. Those nights are the best. One time, she even let us get cheesy bread and watch an R-rated movie.” At press time, the siblings were growing optimistic as their mother hadn’t moved from lying on the couch in over an hour.